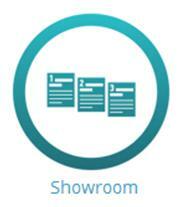 Showroom section is a stunning opportunity to capture your visitor’s attention on the page. You can demonstrate your equipment, products or services using all the existing types of content supported by WordPress (http://codex.wordpress.org/Post_Types). You just have to specify a showroom source for demonstration and set a featured image for the record. In addition, you can even use a custom post type as a showroom source if you are using a third-party plugin, e.g. eCommerce store. As a little extra, there is an ability to show a definite post or page in the Showroom. Enable this option and mark the necessary posts/pages to display in Showroom. You can find out how to customize this element on the page Showroom.